It was an unfortunate World Cup loss for Team USA yesterday afternoon in the round of 16. 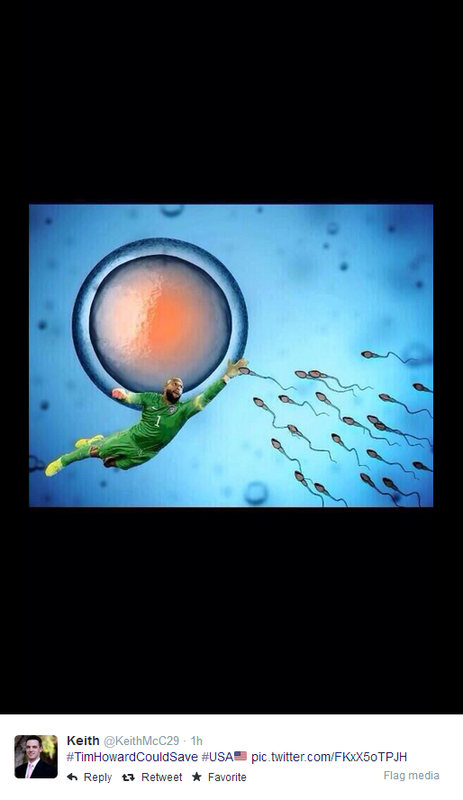 However, the Internet is buzzing about Tim Howard’s incredible showcase during their match against Belgium. Rightly so! Howard proved himself the MVP of yesterday’s game, and was rewarded with that exact title. 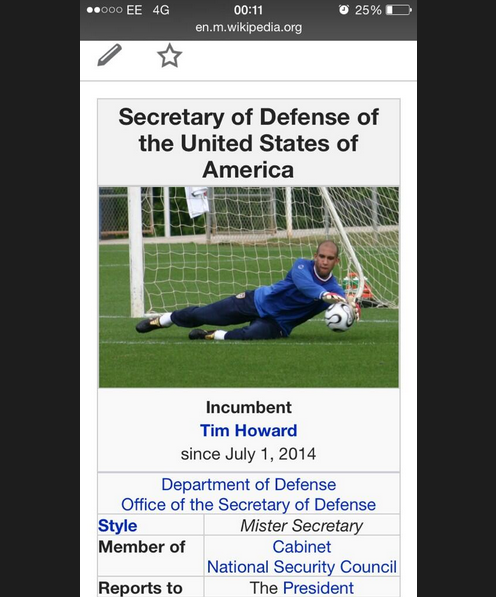 He was also given the title of Secretary of Defense on Wikipedia, he is in the running for President of the United States, and the world thinks he can save way more than just soccer balls. I may be biased towards goalkeepers, since I spent 12 years in the net, but I think some of these Tim Howard posts are worth the curation. 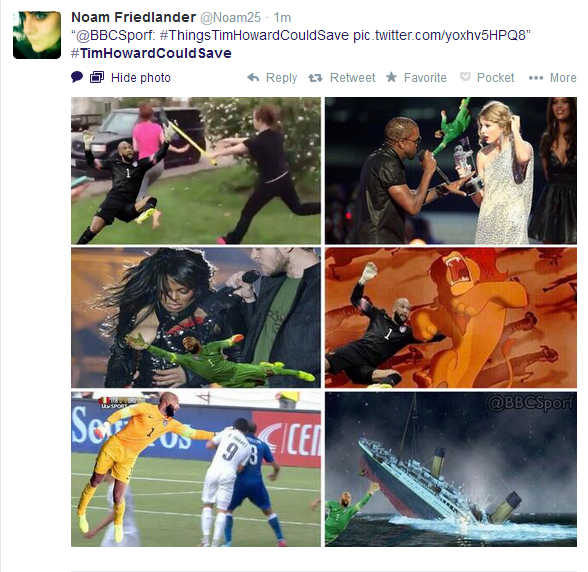 So, here we have it: a collection of the best Tim Howard posts. This is going to be legen… Wait for it… I hope you’re not lactose intolerant, because the next word is… Dairy. 1. 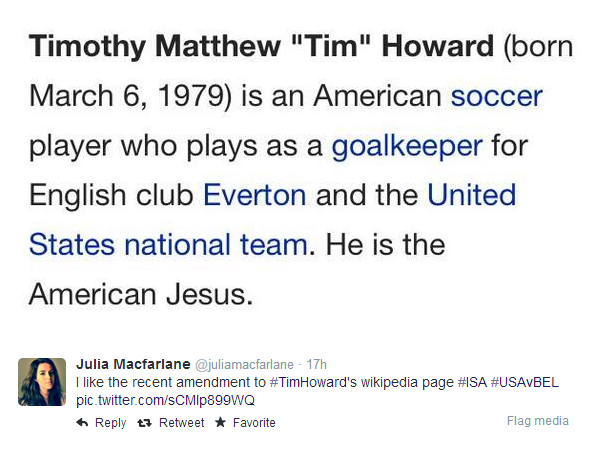 Tim Howard is the American Jesus. 7. Take a look at just how incredible his saves were. All 16, right here. 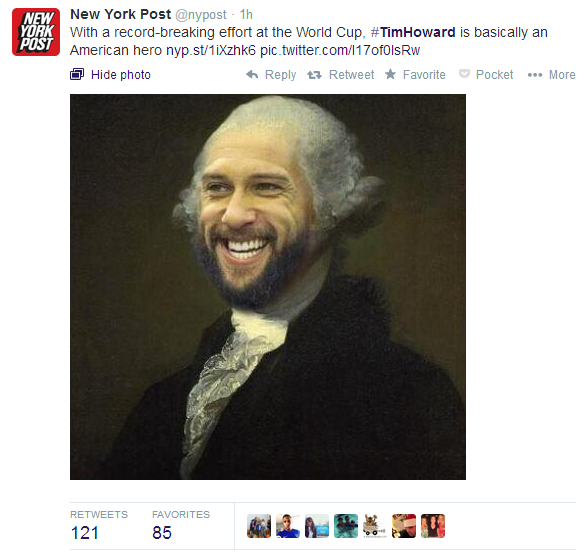 Amen to Tim Howard. Good game, USA. Next World Cup, we’ve got this.